I first found out about L.A Salami after seeing him at Power Lunches in Dalston, before its untimely closure. Even then, he was the epitome of the exciting talent that comes out of venues like Power Lunches; the completely fresh, promising new artists that need a breeding ground. And, while almost two years on we can only mourn the venue, L.A’s talent lives on. Though only picking up a guitar a few years ago, L.A Salami (AKA Lookman Adekunle Salami) has now graced us with his debut album Dancing With Bad Grammar. Working with a bluesy/folk sound, L.A Salami’s lack of history with a guitar almost benefits him. Though it certainly isn’t bad playing, its simplicity builds on the rawness that comes with his songwriting style. 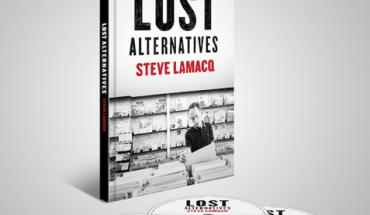 Through this as well, L.A effortlessly achieves his goals of wanting to “portray modern life using the past as a vehicle” – his storytelling is given a ’60s kick and stories that we can all relate to are given a vintage feel (pulled off expertly, mind). Songs about tubes, relationships and the daily grind come to life in a completely re-imagined way, setting him apart from the pack. Among these beat-influenced songs, however, (the likes of ‘I Wear This Because Life Is War’ which carry a huge, protest-song sound), tracks like ‘Day To Day (6 Days A Week)’ and ‘& Bird’ are a sound that is truly L.A Salami’s. 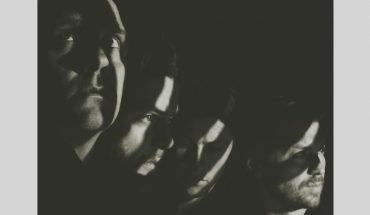 Intricate guitar lines and almost spoken vocals stripping Salami back to completely honesty, and an unmatched raw beauty. In Dancing With Bad Grammar Salami has embodied exactly why we shouldn’t bash the state of modern music. Managing to be exciting and completely real, managing to sound like ’60s beat groups, Jamie T (case in point, ‘The City Nowadays’) and, ultimately, something refreshingly new. 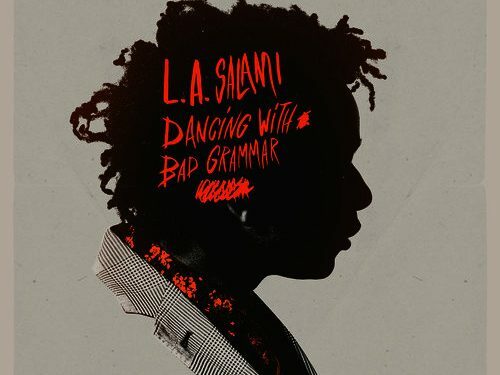 Dancing With Bad Grammar, the new album from L.A Salami, is out now.